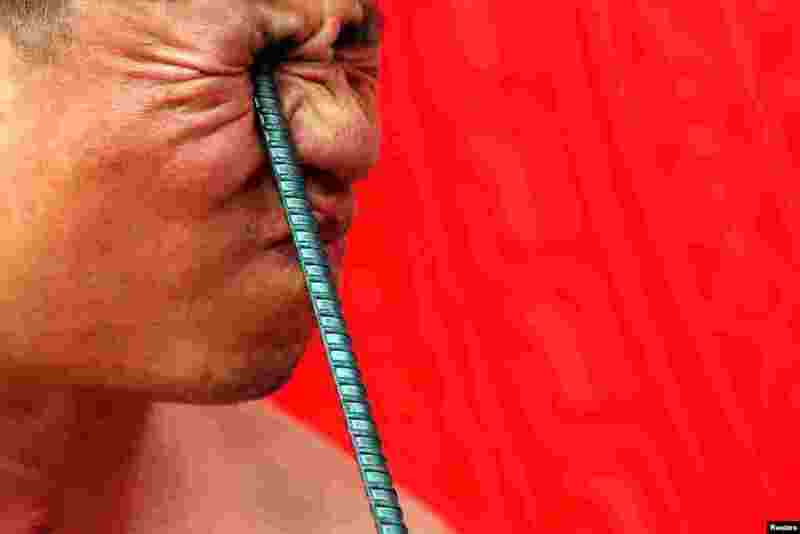 ٥ Ngo Chien Thuat, a traditional health worker, bends a metal pole by pressing it into his eye as he performs during a showcase of the traditional Thien Mon Dao kung fu at Du Xa Thuong village in Vietnam. 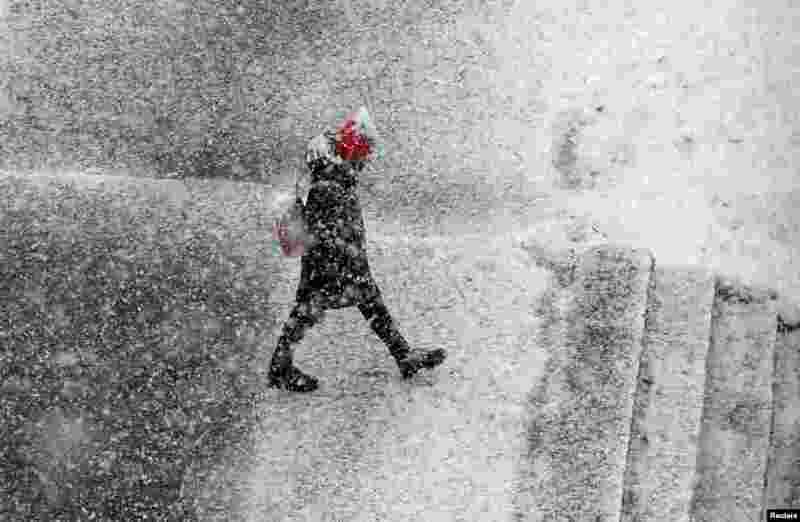 ٦ A pedestrian walks during a heavy snowfall in the Siberian town of Divnogorsk, Russia. 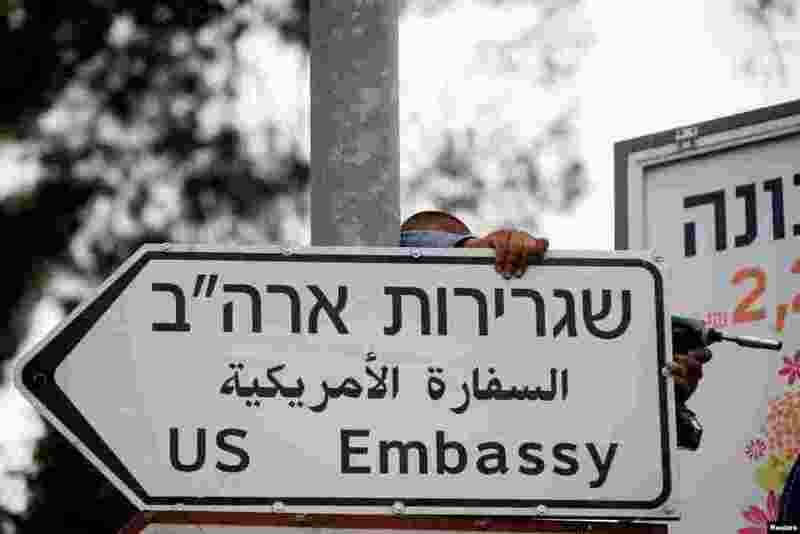 ٧ A worker hangs a road sign directing to the U.S. embassy, in the area of the U.S. consulate in Jerusalem. 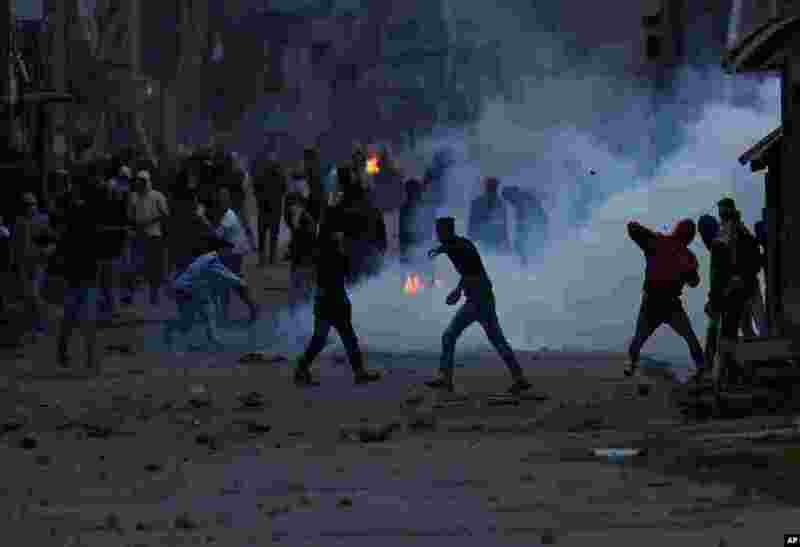 ٨ Kashmiri protesters throw stones on government forces during a protest in Srinagar, Indian-controlled Kashmir.